“Eating well is essential and adapting your nutritional intake to your sport is a necessity. 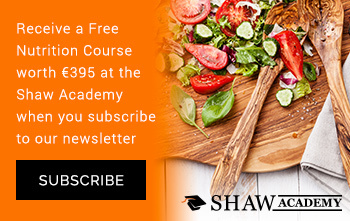 In-season or out of season, as well as pre-, during and post-performance, all influence our nutritional considerations.” Irish and international rugby player Rob Kearney said at a recent special press briefing hosted by the National Dairy Council (NDC) and the Sport Ireland Institute. Other Athletes speaking at the event included rugby player Dave Kearney, Boxers Darren O’Neill and Kellie Harrington, Diver Ollie Dingley, Paralympic Swimmer Ellen Keane and runner Ciara Mageean. 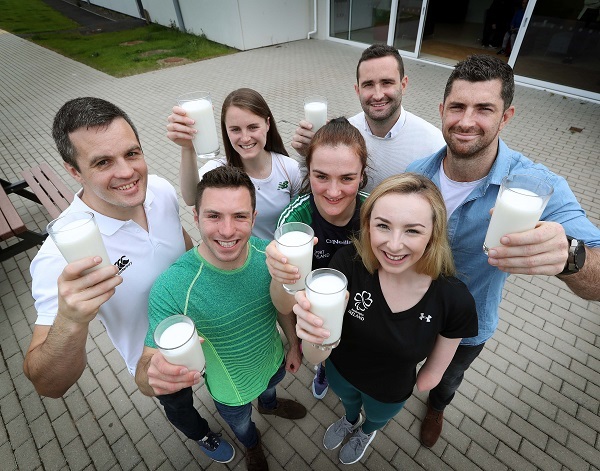 Pictured at a press event to celebrate World Milk Day taking place on 1st June are top Irish athletes L-R: Irish Boxer Darren O’Neill, Dr Sharon Madigan, Sport Ireland Institute, Ciara Mageean, Irish runner, Ollie Dingley, Rower, Dave Kearney, Irish International rugby player, Kellie Harrngton, boxer, Ellen Keane, Paralympic Swimmer, Zoe Kavanagh, CEO, National Dairy Council and Rob Kerney, International Rugby Player. The NDC has just produced a sports nutrition handbook ‘Fuelling Wise for Sport and Exercise’, which is endorsed by the Sport Ireland Institute, and covers a wide range of topics including body composition; carbohydrate; protein; fat; recovery nutrition; hydration and the role of milk as part of an active lifestyle. This booklet launch comes as we prepare to celebrate World Milk Day on 1st June. Now in its 16th year, World Milk Day is a day established by the Food and Agriculture Organisation (FAO) of the United Nations to recognise the importance of milk as a global food. One of themes for this year is to celebrate milk for its health and nutritional benefits. Indeed, it is because of its unique package of nutrients that interesting research is emerging around the specific benefits of milk in sport, with potential roles in the areas of recovery nutrition being explored. “Research is exploring specific areas of interest for milk in relation to rehydration and muscle recovery, as milk naturally contains nutrients to address these post-exercise priorities. Milk is rich in protein – an important nutrient for muscle growth and maintenance – while also providing a natural carbohydrate source to help refuel energy stores; as well as electrolytes in a fluid form to assist rehydration. Additionally, a daily glass of milk provides a number of vitamins and minerals with important roles for health such as calcium, phosphorus, potassium, iodine, vitamin B2 and vitamin B12.” said Nutritionist Caroline O’Donovan of the NDC. Effective recovery from an intense exercise session or match is essential to perform well in the next training session, match or competition. After exercise, there are three main priorities to consider, often referred to as the 3 ‘R’s of recovery: Refuel energy stores; Repair muscles; and Rehydrate.